Advances in the material sciences, 3D printing technology, functional electrical stimulation, smart devices and apps, FES technology, sensors and microprocessor technologies, and more have lately transformed the field of orthotics, making the prescription of these devices more complex than ever before. 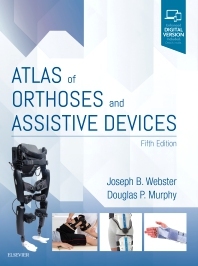 Atlas of Orthoses and Assistive Devices, 5th Edition, brings you completely up to date with these changes, helping physiatrists, orthopaedic surgeons, prosthetists, orthotists, and other rehabilitation specialists work together to select the appropriate orthotic device for optimal results in every patient. Provides an introduction to Brain-Computer Interface (BCI) systems relating to Assistive Technology (AT) systems and orthotics. Includes Key Points in every chapter so you can quickly access expert guidance. Maintains a valuable balance of content that is essential for both physiatrists and orthopaedic surgeons.